Centuria Industrial REIT (CIP) has rejected rival PropertyLink’s $755 million takeover offer because PropertyLink is itself the subject of a separate takeover offer from private equity group, ESR Property, reports The Sydney Morning Herald. In a statement to the ASX, CIP’s independent directors said the terms of the proposal—PropertyLink’s offer is mainly in the form of scrip—did not warrant exclusivity, due diligence, or entering into a bid implementation agreement or a recommendation from the board. Centuria said there was now “material uncertainty” surrounding the proposal. ”Accordingly, the CIP independent board committee has unanimously decided to reject the proposal,” Centuria said. Last month Asian logistics platform ESR Real Estate, controlled by US private equity giant Warburg Pincus, joined the flurry of corporate action by launching a $693 million cash takeover bid for Propertylink, notes the AFR. While this takeover bid has prompted Centuria to reject Propertylink’s offer, other factors such as increased gearing in PropertyLink following any takeover have also influenced their decision. Propertylink, however, said this week it may still push ahead with its $755 million takeover bid despite the board’s rejecting the offer and without access to due diligence, The Australian reported. Propertylink argued it had “well-advanced” plans to manage the extra debt it would take on if its offer was successful through “the sale of wholly owned PropertyLink ­assets, providing PropertyLink with control over execution at all times”. 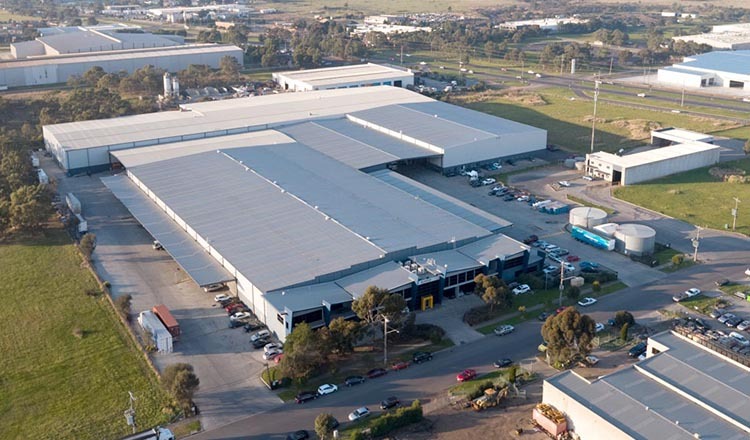 Underpinning the three-way tussle is the chance to get access to high-quality industrial assets owned by PropertyLink and Centuria Industrial. Backed by the rise of the e-commerce sector, demand for warehouses for storage and distribution is very strong. Industrial agents say land values and rents for logistics asset are near all-time highs, particularly along the eastern seaboard. Other rationale for ESR’s proposal hinges on its desire to defeat Propertylink’s initiative to buy out the Centuria-run fund as much as it is driven by a simple wish to take over the fund manager. “We are the largest shareholder in PropertyLink,” said Phil Pearce, who was appointed in July to oversee ESR’s expanding presence in Australia. “When they launched the bid for Centuria Industrial REIT we looked at it, we looked at the numbers and we didn’t like it. “They are offering to pay a big premium for the Centuria Industria REIT assets at the expense of the PropertyLink security holders. “We felt we were compelled to take action,” Mr Pearce said. Australia’s real estate investment trust sector is in the midst of a takeover cycle, dominated by a long-running battle for control of Investa Office Fund between Blackstone and Canadian-based Oxford Properties. The big offshore funds are hoping to snare a large portfolio of assets in one line rather than building them in a long, slow process of individual acquisition. PropertyLink and CIP are both sizeable investors and managers in the booming industrial property sector.